There’s been an overwhelming import of steak concepts in Hong Kong of late and the trend shows no signs of slowing down. 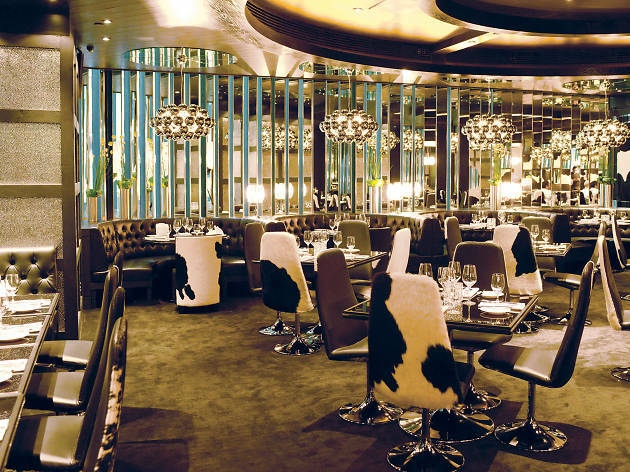 With 14 restaurants operating throughout the UK, much-talked-about award-winning Argentine steakhouse Gaucho is our city’s latest beefy addition to the lineup. Expect steaks to die for here. A gaucho is a South American cowboy. And we see this theme represented in the Queen’s Road Central restaurant’s cowhide walls. But it’s tastefully done as the rest of the venue is all club chic, with opulent black leather furniture, mirrored panels and crystal chandeliers. As Gaucho sits on the crossroads of Lan Kwai Fong, it’s well positioned as a place to grab a hearty bite in snazzy surrounds before a night on the tiles. As we sit down, though, our minds turn straight to the meat. Our waitress gives us the daily beef board, which showcases the top-grade cuts on offer, and we’re drawn to the striations of the ancho (rib eye) medallion ($298) and the churrasco de lomo ($498) – a spiral cut fillet marinated in garlic and parsley for 48 hours. While we wait for the mains, we plump for a chicken empanada ($58) and a tuna ceviche ($168). 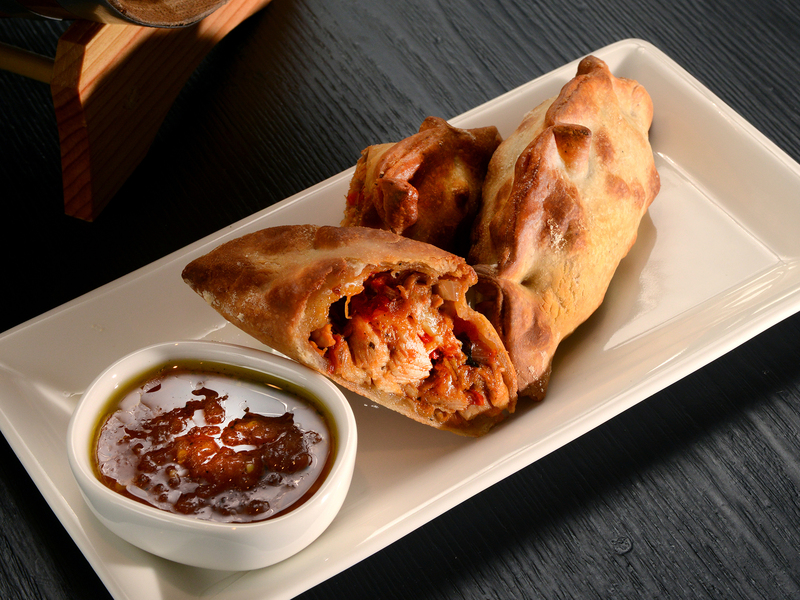 The pastry is baked a beautiful golden brown and comes in a flavourful tomato paprika sauce that contrasts perfectly with the juicy chicken and the fresh tomato salsa. 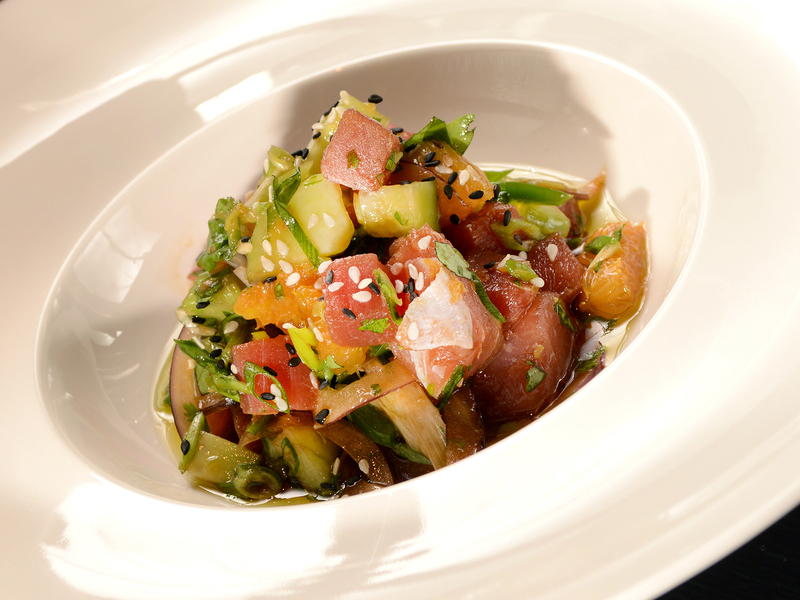 Unfortunately, though, the ceviche isn’t such a hit as it’s so over-soaked in soy sauce that any fab raw fish flavours that may be present are masked by an immense saltiness. But who cares about starters? It’s the steaks we want. And, thankfully, they live up to expectations. Sourced from the finest 100 percent grass-fed free-range Argentine Angus beef, they’re cut to order, grilled and turned only once to seal the juices in. Our medium rare rib eye is perfectly seared on the outside and pink on the inside, without a drop of blood in sight. 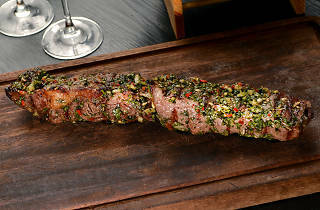 The spiral cut lomo is melt-in-your-mouth soft, infused with garlic and sporting an intense parsley flavour due to its marinade. These are stunning steaks. Sadly the pepper sauce, though, is anything but. Its floral flavour is so overpowering it tastes like some sort of lemon-and-lime detergent with no pepper notes at all. We’re convinced it’s a mistake, so we actually send it back to the kitchen to make sure. But apparently it’s not. After that letdown we decide to stay for a dessert – and are pleased we do. The dulce de leche fondant ($68) – though rich – is aromatically enhanced with Amaretto curd and superior quality berries. It’s sweet, fragrant and fluffy. A mini triumph. 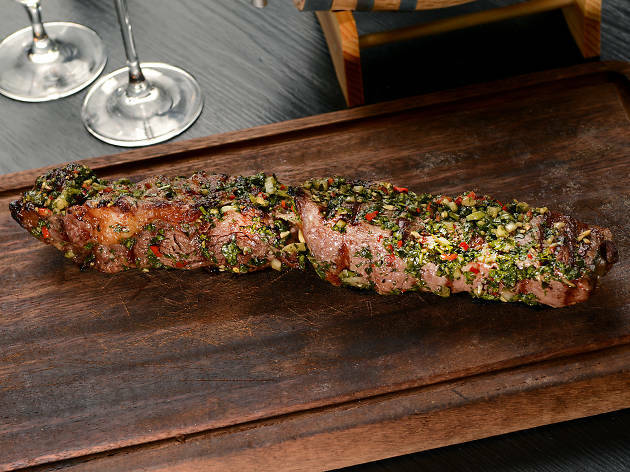 It seems like fine tuning is needed at Gaucho, and that pepper sauce just needs to go. 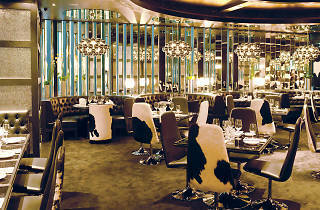 But the signature steaks – which are in for stiff competition across town at the moment – are worthy of the hype. When the kinks are worked out, we expect to ride back here like the wind just so we can once again sink our teeth into these sumptuously superior steaks and, hopefully, this time enjoy a sumptuously superior sauce to pair with them as well.